According to a recent report published by WHO on 05/23/2018, the death toll of the Ebola epidemic in the northwest Democratic Republic of the Congo on May 20 is 27 – out of 58 confirmed or suspected cases. The public health risk can be considered high due to its potential to spread into urban areas and neighboring countries. The latest on Inserm’s commitment to fighting this epidemic. Inserm and its partners at Aviesan have created REACTing, a multidisciplinary consortium bringing together research groups and laboratories of excellence in order to prepare and coordinate research to combat the health crises linked to emerging infectious diseases. Concerning research, a significant breakthrough has been made with the identification of the so-called Ebola Zaire strain as responsible for the epidemic currently raging in the Democratic Republic of the Congo. 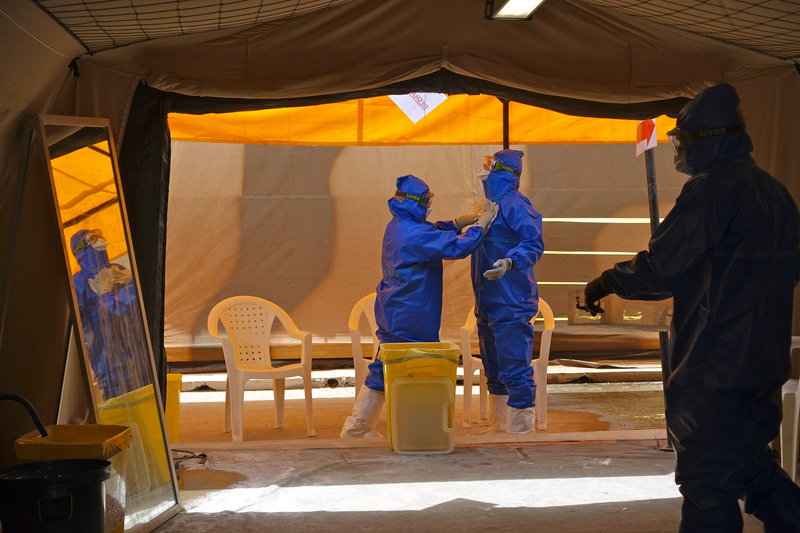 In order to be better prepared for and help contain future Ebola epidemics, it is also essential to continue research into the vaccination strategy for preventing this fever. In April 2017, Inserm and the US National Institutes of Health and the London School of Hygiene & Tropical Medicine, in collaboration with the health authorities of Guinea and Liberia, have launched a new large-scale clinical trial of Ebola candidate vaccines, under the aegis of the international consortium PREVAC (Partnership for Research on Ebola VACcination). One year later, more than 2,000 adults and children in Guinea and Liberia have been enrolled into this international clinical trial.